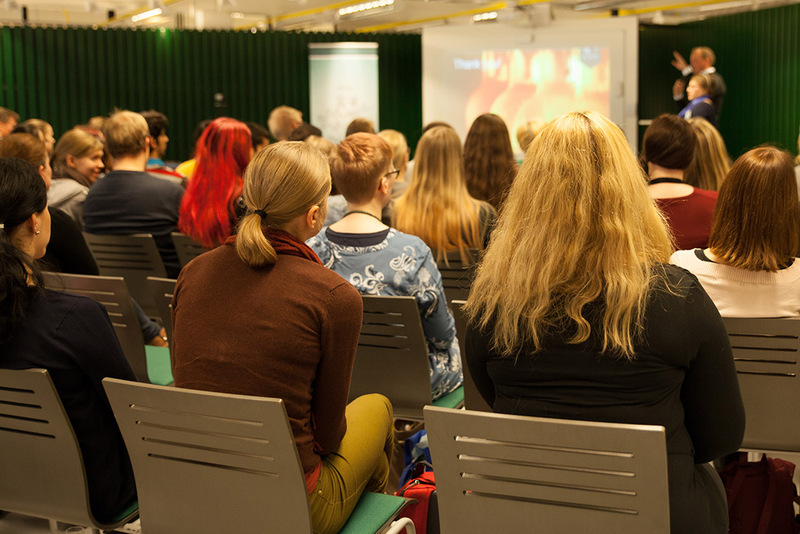 The annual Oulu Bioscience Networking Event was organized on 3rd November at the University of Oulu, Ice Breaker stage. This year the theme was “Linking Nordic Biosciences – Over the Arctic”. The event gathered plenty of bioscience professionals from the academic and the private sector from Finland, Sweden and Norway. 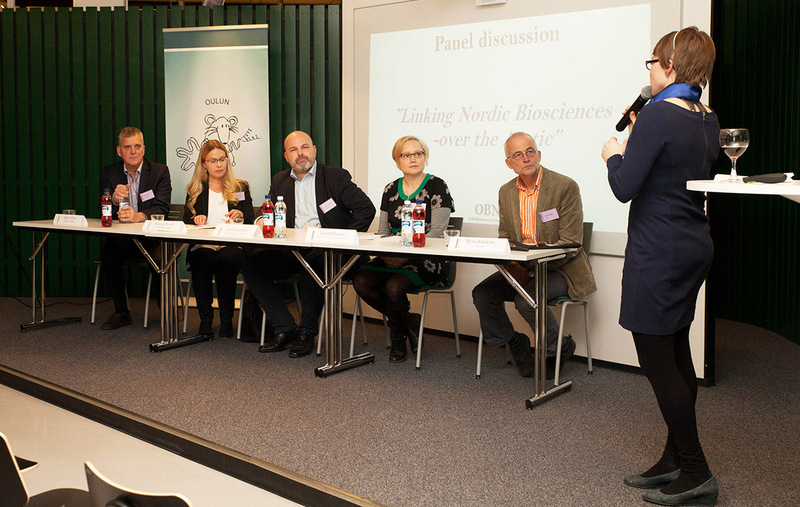 The event aimed to increase networking between the bioscience professionals over the Arctic, and to discuss about the current themes in the field of biosciences and collaboration between the Nordic countries. The introduction to the evening’s theme was given by Professor Tiina Kinnunen from the University of Oulu after which the Arctic Biodiscovery Centre & Biotech North, OuluHealth Labs, Ginolis Ltd, Admescope Ltd and Sangen Ltd told about their activities. After the delicious snacks and wine served during the net working break, Hannele Savela from the Joint Arctic Agenda introduced the joint venture between the Nordic countries. Collaboration between the Nordic countries was further addressed in the panel discussion. The panelists were: Eirik W. Lundblad from the Arctic Biodiscovery Centre & Biotech North at the Arctic University of Norway, Tanja Pyhäjärvi from the Department of Physiology and Genetics at the University of Oulu, Björn Ekström from Ginolis Ltd, Kalevi Virta from Nordic Test Beds and Hannele Savela from the Joint Arctic Agenda. 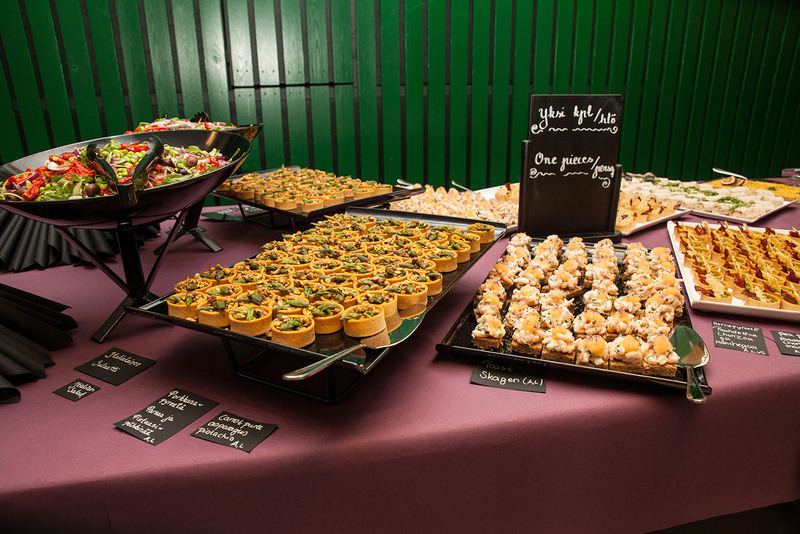 The event was organized by the Biochemical Society of Oulu, and it was sponsored by BioBio Society, Biocenter Oulu, BusinessOulu, the Faculty of Biochemistry and Molecular Medicine at the University of Oulu, Finnish Union of Experts in Science LAL, Medical Research Center Oulu, Oulu Health, Nordic Infrastructure for Mouse Models, the Finnish Union of Expert in Science and the Chemical Industry Federation of Finland.